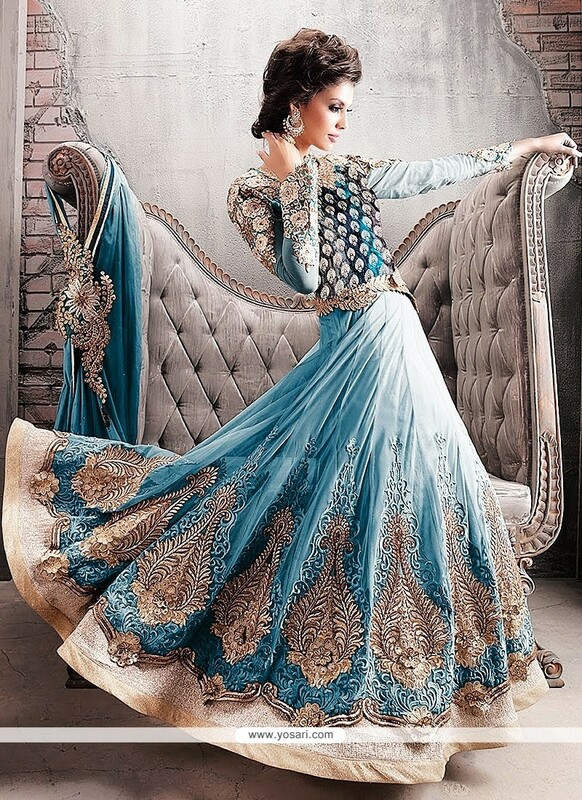 Turquoise Blue Faux Georgette Anarkali Salwar Suit. Turquoise blue georgette anarkali suit, having with patch work, thread work, pita work, embroidery work, yoke work, kasab work, moti work, yoke work.Including with matching chiffon dupatta. Its a pretty anarkali suit for wear on Party, Festival, Ceremony and Reception. georgette Fabric and Blue color, Zari and embroidery work used to make this stylish suit.